The GLA is the city sized SUV that's ready for whatever life throws at it. This Certified Mercedes-Benz GLA250 4MATIC is finished in Jupiter Red with Black ARTICO upholstery, and is absolutely teeming with features. Standard features included satellite navigation, a rear view camera with front and rear parking sensors, panoramic sunroof and a host of advanced drivers assist features including blind spot assist and auto emergency braking, along with rain sensing wipers, auto Bi-Xenon headlights and an electric tailgate. 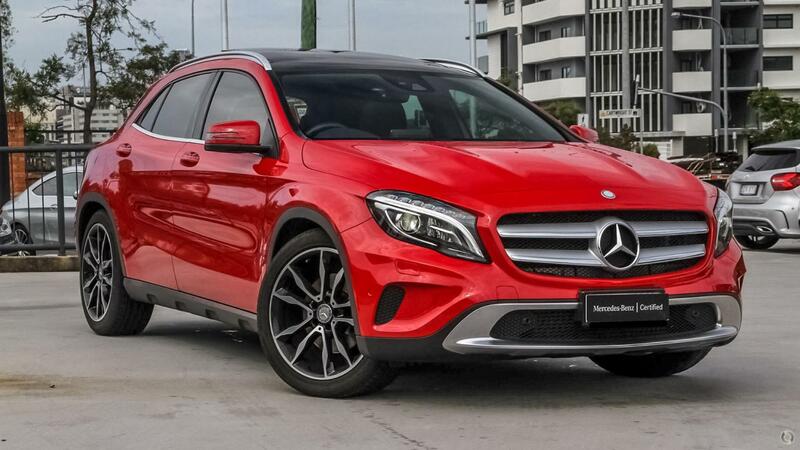 So whether it's exploring the city, or getting away, this GLA will pamper you with luxury, technology and style.